What size bat should I buy? Great question! I get asked this question often and I by no means consider myself an expert. I know the size bat Lefty uses but when it comes to this big purchase and choosing a baseball bat, I think we could all use some help. I prefer not to spend a car payment on a bat for Lefty, but I also want him to have decent bat. I also like to compare multiple bats before I make a purchasing decision. 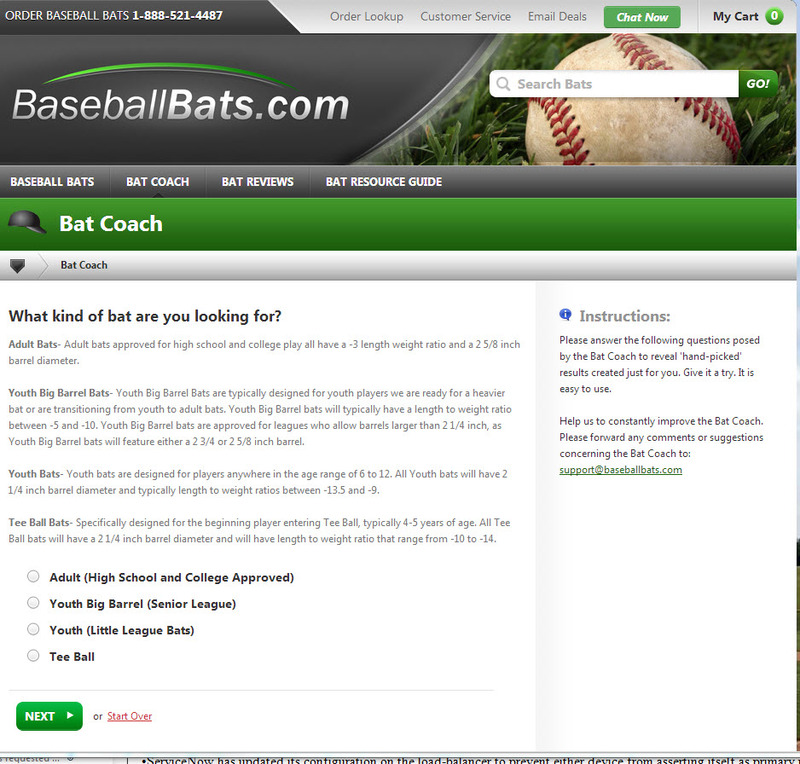 I found a really cool tool called Bat Coach on www.baseballbats.com. This tool walks you through about 8 questions ranging from Do you know the player’s approximate height and weight?, Do you have a manufacturer(s) preference? and Do you have a price preference? Then it provides suggestions for you to consider. It is a quick and easy way to start your search for the correct size bat for your young ball player. I have not purchased a bat from Baseballbats.com but I did run through the tool and it gave me the size bat Lefty is currently using (sorry Lefty… no new bat for you!) Pricing seems reasonable and I did contact their Support email to inform about this post and they responded quickly which was nice to see. Here at BaseballBats we know the game inside and out. From the thrill of stepping up to the plate with your new bat to the joy you get from watching your kid trot around the bases after smacking one over the wall; baseball is what we do, it’s how we live. Our friendly staff, with experience ranging from T-Ball through college, and even into the professional ranks, knows what it takes to be the best and we are here to help you become your best. Our business strategy is simple; get the perfect bat for you on time, every time, exactly as promised. We not only provide you with the bats, we provide you with a winning experience, and a promise, like no one else can. On time, every time, exactly as promised!